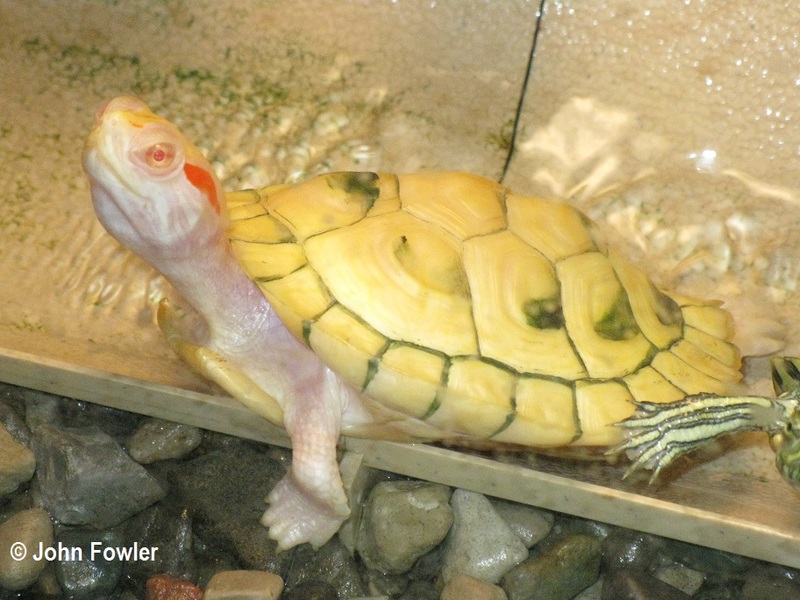 Juvenile albino photographed in a US pet shop. 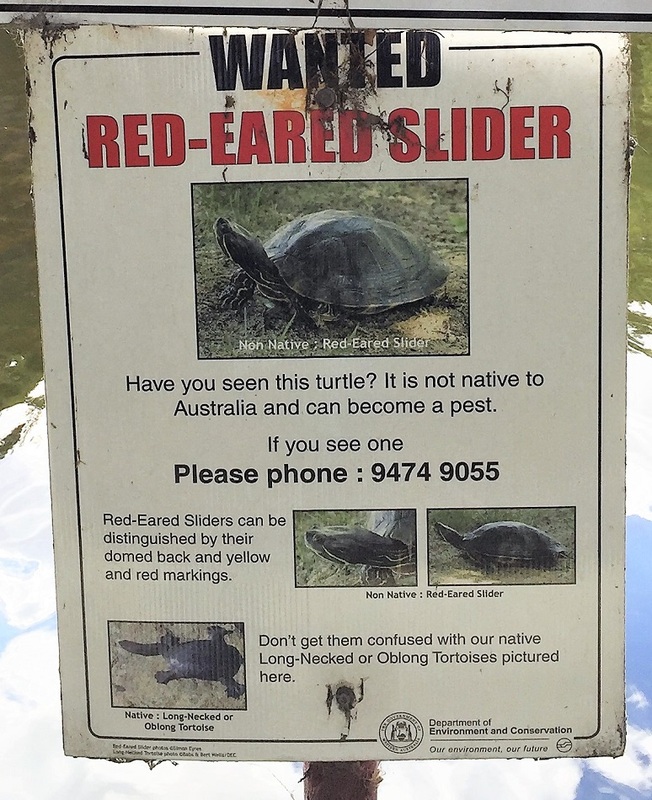 This sign was photographed in Perth,WA - notice that in WA they still oftern refer to Australian freshwater turtles as "tortoises". 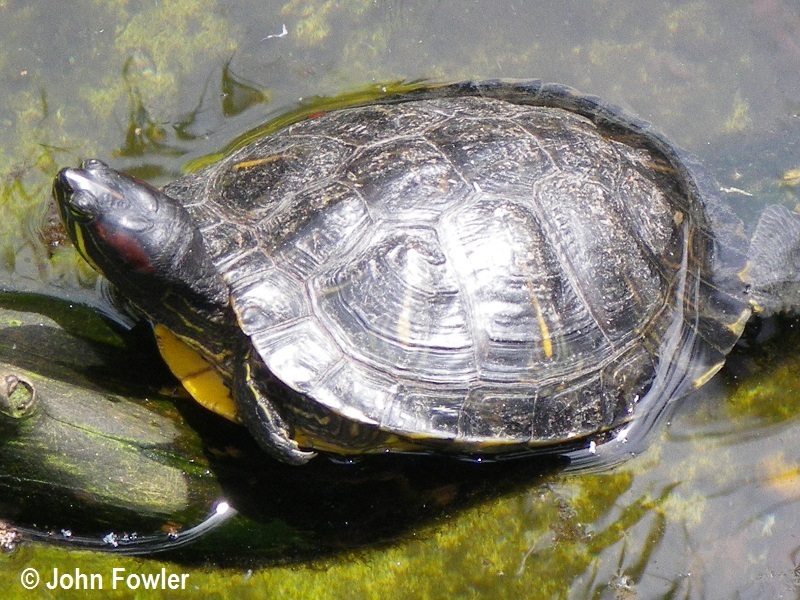 There was a time in Australia up to about 1970 when it was considered incorrect to call our freshwater turtles "tortoises" and the term "turtles" was only used for sea turtles! 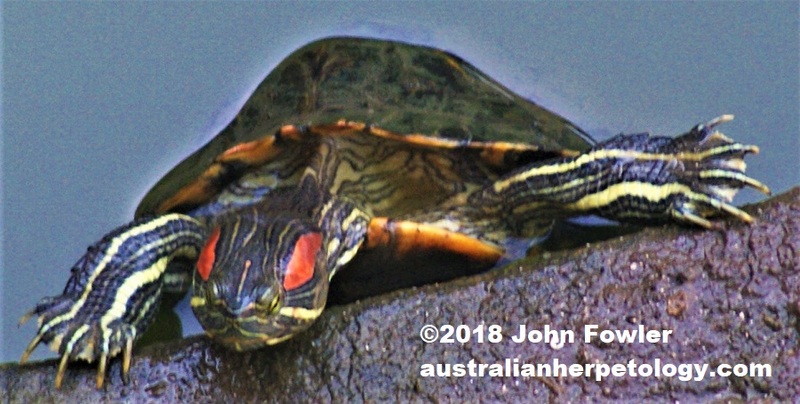 In Australia Red-eared Sliders Trachemys scripta elegans are currently feral in NSW, Qld and ACT and have also been found in Victoria and WA. This species may not be kept as a pet in Australia. 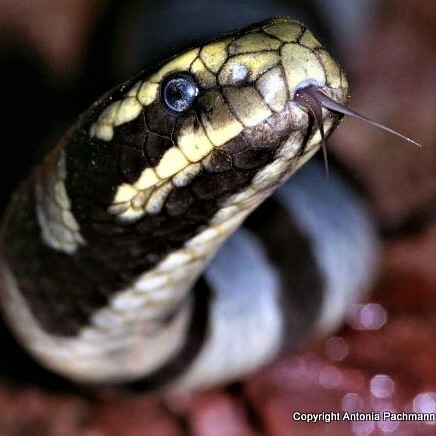 and has often been sold as a pet for children in thousands of pet shops all around the world. Usually these are sold as hatchlings, sometimes at extremely low prices. It is a subspecies and although I have not seen any wild ones in Australia myself, I have seen them in some other countries and some appear to be crosses between subspecies. These are native to Southern USA and Northern Mexico.